The International Year of Astronomy 2009 has served its purpose well thus far, to help the citizens of the world rediscover their place in the universe. There have been many signature events this year in observance of the contributions the field of astronomy has given to the expansion of human knowledge. One upcoming event that everyone should try to attend is Galilean Nights on October 22-24. During this time the world’s professional and amateur astronomers will be out in force to encourage as many people as possible to look through a telescope. 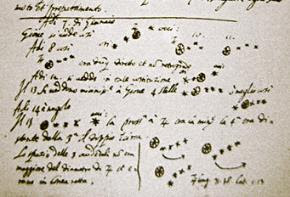 The special spotlight is on the objects that Galileo observed namely the Moon and Jupiter with its four “Galilean moons.” It will be fun for the whole family to relive the revolutionary discoveries made 400 years ago. For information about finding a star party near you, or about how to plan your own event, just visit the organization’s website (see above link) for all the details. Went to an event over at Amoeba records in Hollywood and there were a bunch of interested people ther. Enjoyed it very much. Some old folks there too.